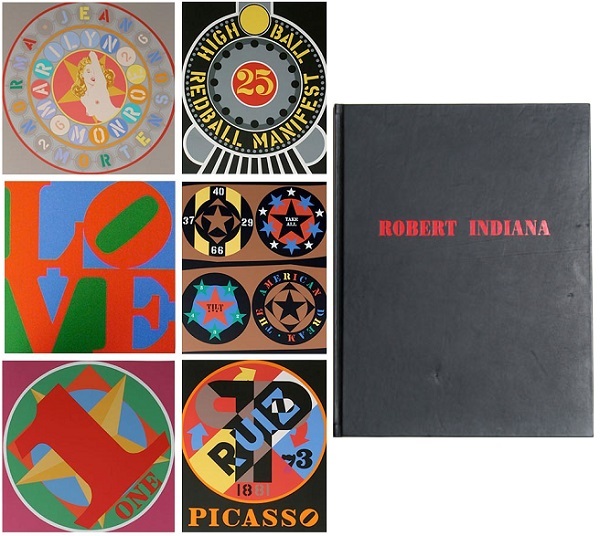 Description: American Dream is a limited edition book of collected works by artist Robert Indiana. The writing of this book started in 1995 with poetry by Robert Creeley and text by Susan Ryan and Michael McKenzie. The entire book is assembled in 100 pages and contains six signed and numbered removable serigraphs on Wove Paper. Love 14" x 14" High Ball Redball Manifest 16.5" x 14" One Indiana Square 14" x 14" Picasso 16.5" x 14" Tilt 16.5" x 14" The Metamorphis of Norma Jean 14" x 14" 24 additional serigraphs bound in with text. Foundry/Publisher Marco Fine Arts Contemporary Atelier. Artwork is in excellent condition. Certificate of Authenticity included.